When it comes to high energy bills, there is perhaps no greater troublemaker than a poorly insulated attic. 45% of a home’s wasted energy escapes through the attic. Living in Texas, you might not be too worried about losing heat out of your attic. Winter isn’t that harsh around here. But your attic isn’t a one-way street. If heat can get out, it can also get in. Our summers often get into the triple digits. And those high temperatures can make your air conditioning unit work overtime. And your electric bill will be paying its salary. To keep your home cool and comfortable, you are going to need the most effective attic insulation possible. 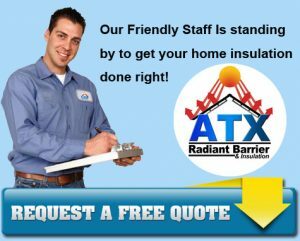 The weather is truly unpredictable these days, and if you’re in the Austin area, it’s important to have your home protected and insulated. There are a million reasons to use the spray option when it comes to insulation. Whether you’re building your home or renovating it, considering the spray is a smart choice. The benefits you’ll receive from spray insulation will be well worth the additional price it may cost to install it. We’ve done the research for you and compiled a list of eight reasons to have spray insulation in your home or work place.